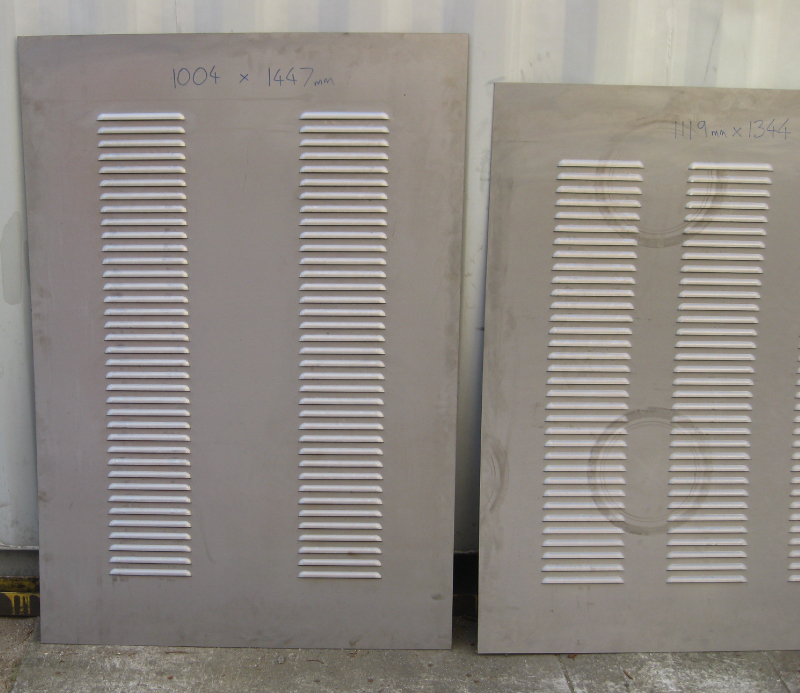 We now have capacity to press 2 meter wide louver panels by any reasonable length. 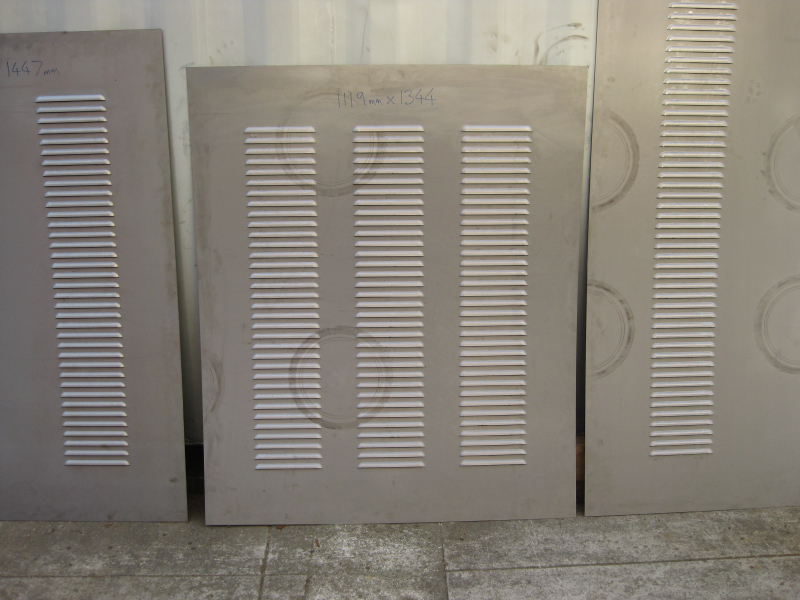 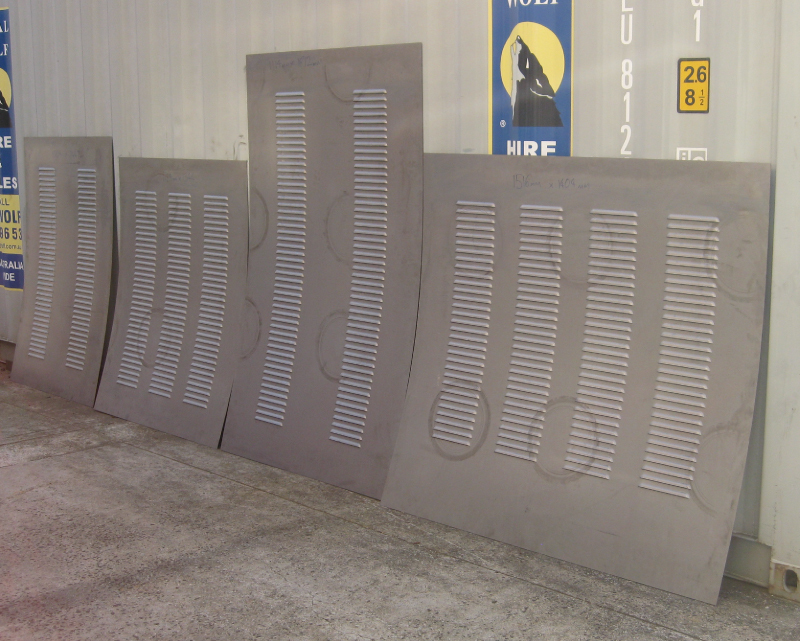 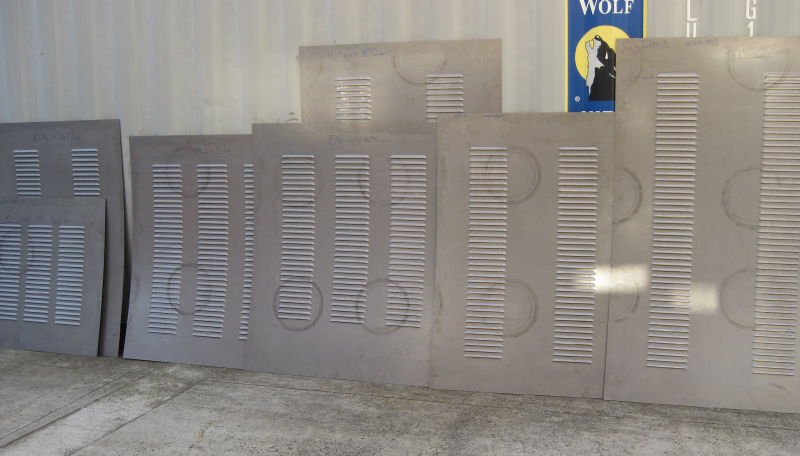 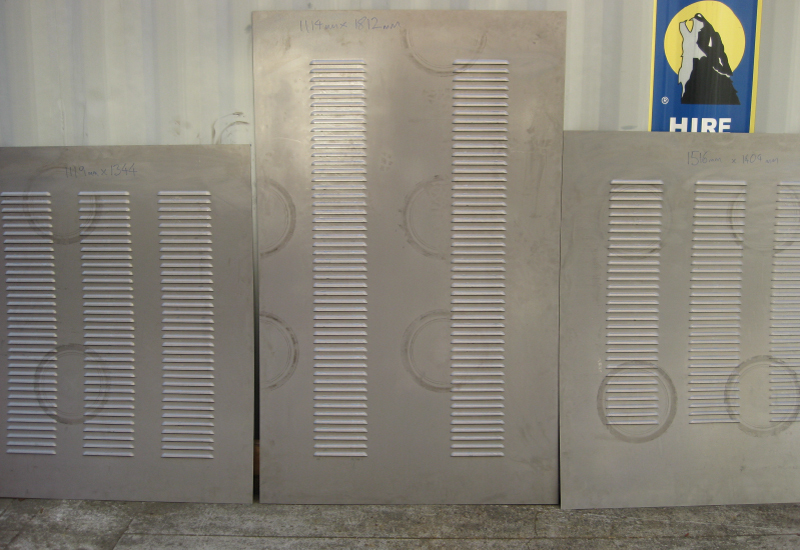 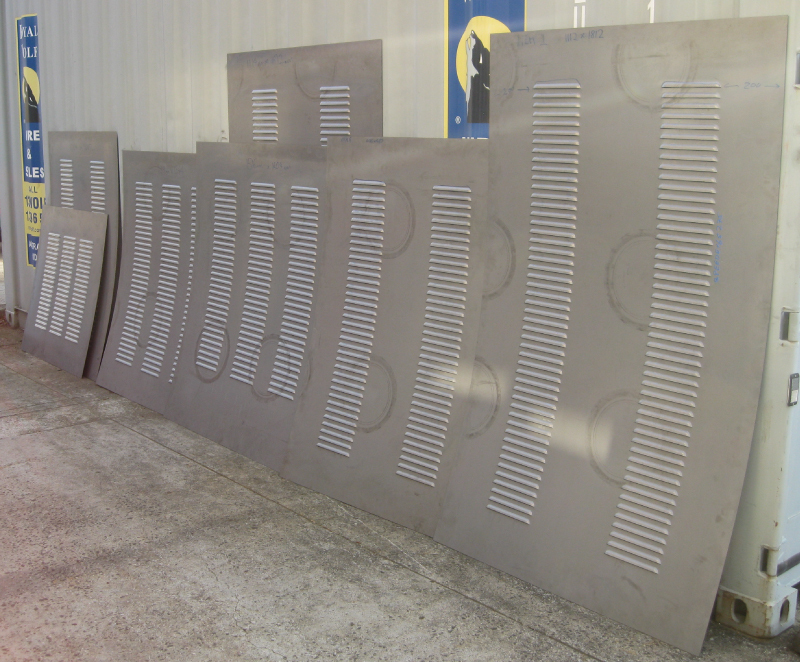 The following louvers show examples of large 1.5mm thick steel louvers showing eaxmples of 1.5mm wide louver panels. 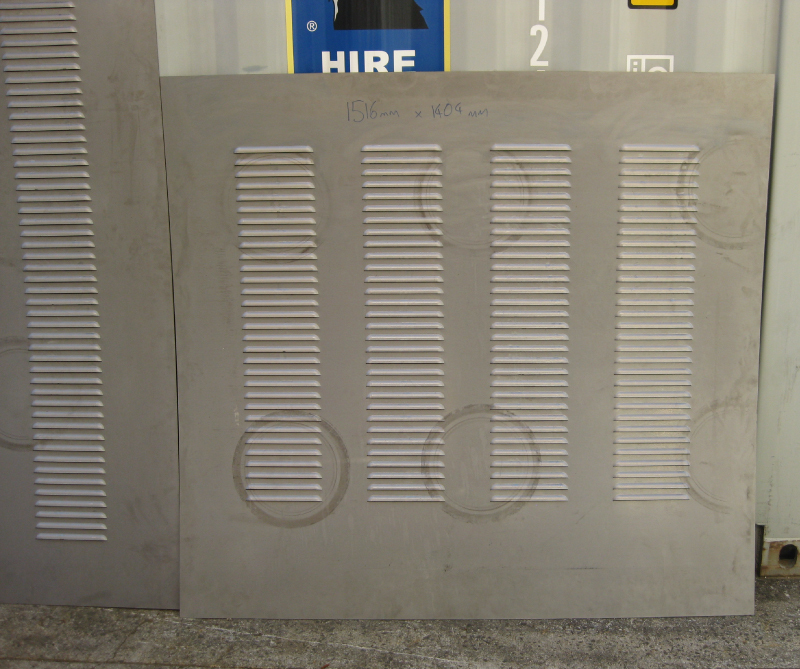 All louvers below have 200mm wide louvers by 15mm height with spacing or pitch of around 30mm.